When: Saturday the 5th of March 8pm EST. 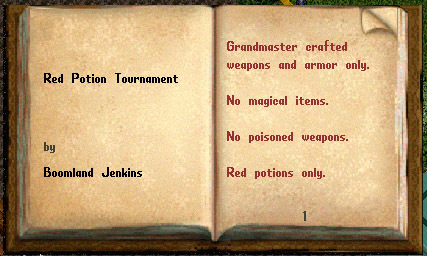 Rules: Red Pots/GM weapons. 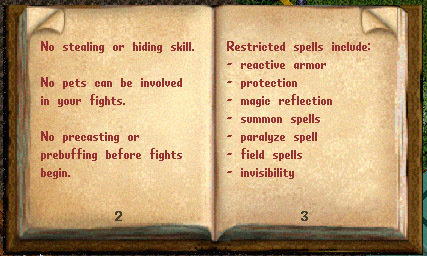 Standard spell restrictions for this style. Fine Print: The space is standard non-guardzone with basic spell restrictions: no earthquake, no mark. 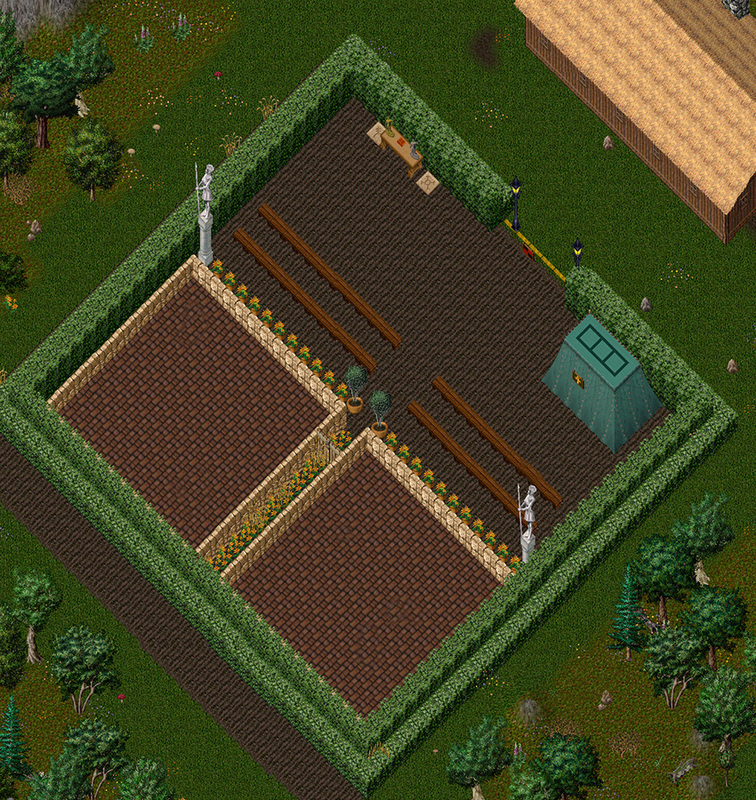 The town-line is clearly marked. Attend at your own risk. Only tournament contestants currently in a match are given any protection from unofficial combat. To sign up, simply PM me in IRC in the hours leading up or show up a the Arena 15 minutes before the event starts to pre-register with me. 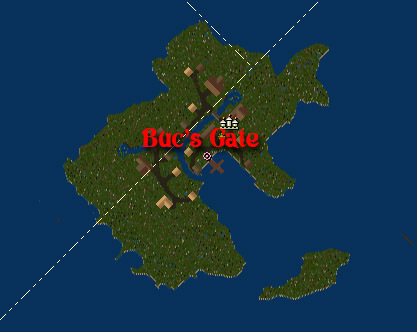 Location: This tournament will be at the dueling pits located at 4' 34'N 12' 5'W. 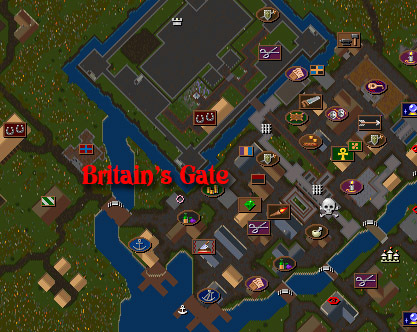 There will be gates located in West Britain and Buccaneer's Den. Did someone say trammel bash? Wish I could be there. Great Tournament Boomland! Thanks for the opportunity to test our abilities! i managed to make it all the way to the finals XD Next Time Ursula! & we won Monster Bash! Thanks for the Monster Bash Boomland! I remember the ones from 2011 and this one didn't disappoint!